Vlore, 알바니아의 호텔 니카 - Hostelworld.com에서 저렴한 호스텔과 숙박시설을 찾아보세요. Hotel Nika is located only 150 away from two beautiful seas, the Adriatic (sandy one) and the Ionian (rocky one). It offers the freshest air and the most comfortable and quietest sleep around .The food is amazing and in the afternoon you can enjoy the tranquility and the tastiest food around. 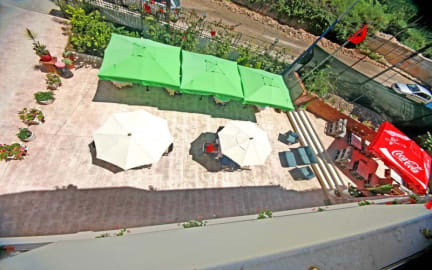 For all the families with little kids hotel Nika has a wonderful playground with a swing and a trampoline. Hotel Nika is situated 3.5 km away from the city center and 150 m from the local bus station. Nearby guests can find a lot of restaurants, bars, playground and a basketball field. All rooms are elegantly decorated, Boasting modern details as well as original features of the building. Each comes with air conditioning, a flat-screen TV, and a fully equipped en bathroom. Each has a private bathroom with a hairdryer and free toiletries. All of them also have a balcony. A continental breakfast is provided daily and any other kind of breakfast is available on request. Everybody loves the fresh air and the tranquility at the patio enjoying the most delicious and freshest food around. 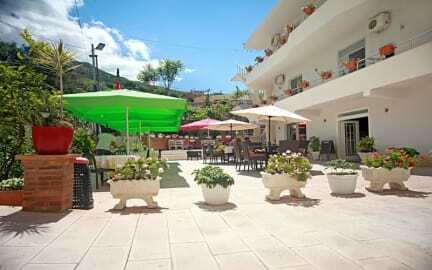 Hotel Nika is a great choice for travelers interested in fine dining, food and entertainment.